Even more gutted I'm not delivering your Timbuk 2's in person now! Thats going to be lovely when its built up. in Guernsey Visitors are alwasy welcome. I woudl have to tidy up the workshop first as i always have atleast 2 projects on the go makign a mess. I guess its no seacrete what those tyres were goign on now! 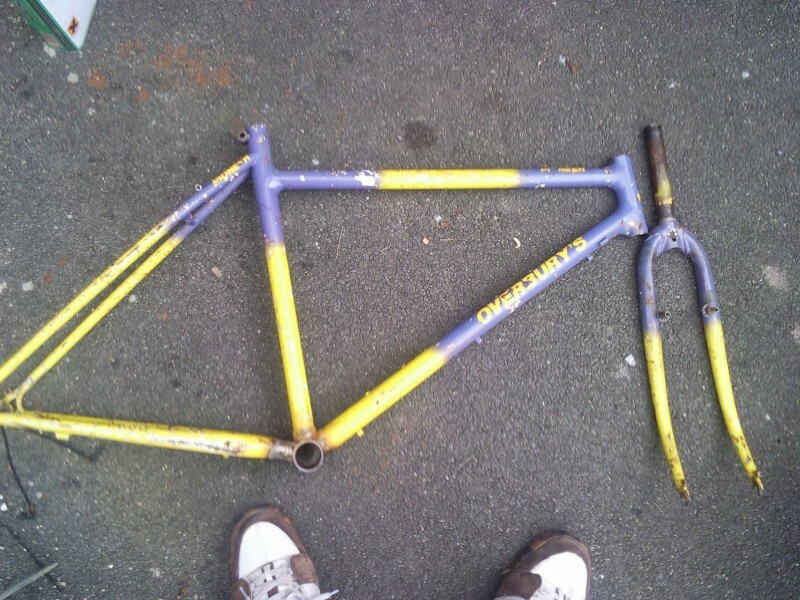 im still admiring it, i notice you have had it for several months now, how are you finding the ride, i remember riding one, for a practice lap, of a race many many years ago, and thought it was exceptional, i loved fillet brazing, it just looked so dam good, when i did eventually have enough stirling to buy a custom frame, my choices were, overburys, zinn, dave lloyd, never did manage to ride a dogs, and did eventually buy a zinn, (just too good a deal to miss at the time). love the way it has been refinished in a bright orange too, did the previous keeper refinish it or did "he buy it like that all done, from where im sat it looks like a very impressive job, you did well there, and certainly worthy of the title bike of the month. As mentioned before, it has a very high BB position and getting the saddle height correct without feeling as if your backside is up in the clouds. At first I was little sceptical as it rode a little weird. It was that seat height again. Once that was sorted the ride was transformed and the ride is like nothing else I've ridden. As far as I'm aware, the bike was purchased new around 1988/9 in its current colour scheme. It was then resold to the second owner who rode it for about 5 years before leaving it in the garage allowing it to get covered in gunk. When I first picked it up, it was covered in some sort of rubberised paint around the stays and other vulnerable areas. Keitht removed most of this and tidied up other areas. 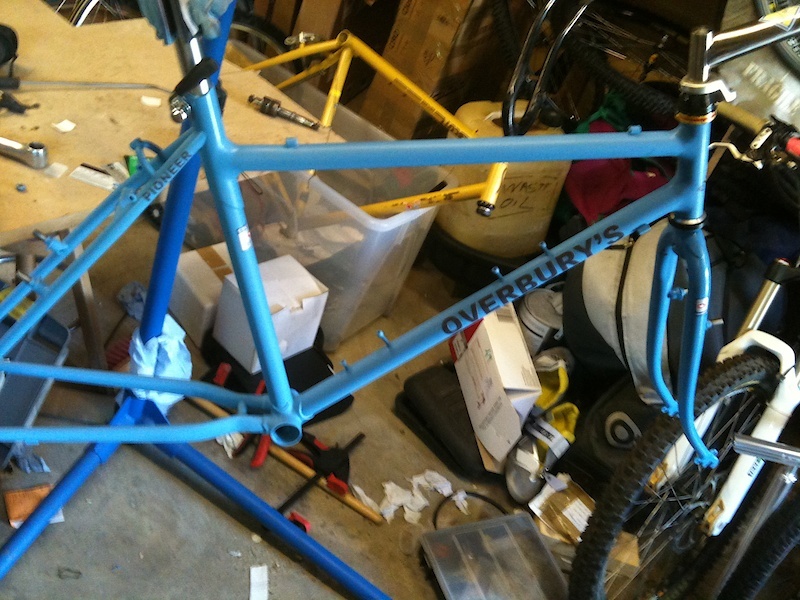 I then purchased the bike and refinished as you see it now. Just needs a good polish and some new decals. 1991 custom built for me from Nivachrome with a mix of Olympus and Euclid with a DX front mech. 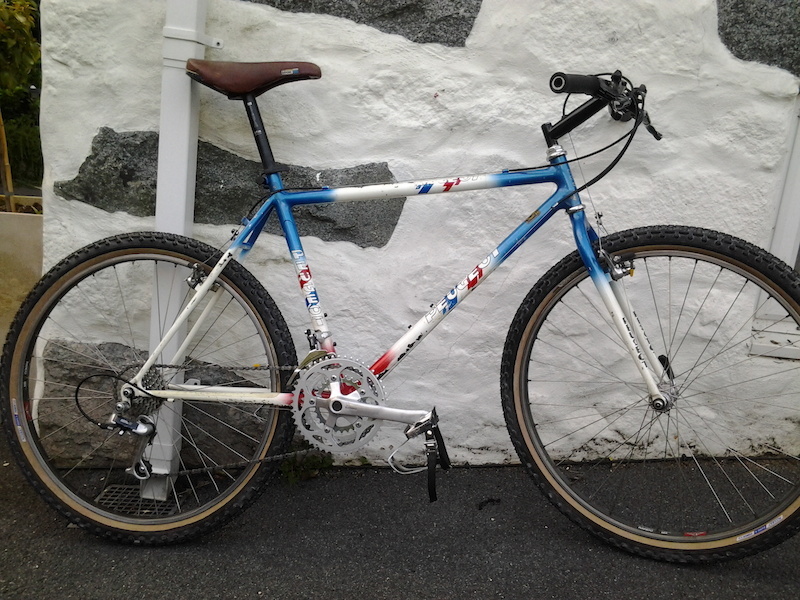 Very nice bike which I kept for around a year before it was stolen in typical Bristol fashion! Last edited by makster on Fri Sep 10, 2010 10:33 pm, edited 1 time in total. I kept for around a year before it was stolen in typical Bristol fashion! I need a Pioneer in my life!